The immune system employs several tactics to protect the body. Phagocytosis is one such tactic wherein special types of cells called phagocytes ingest and kill invading organisms. Phagocytes also ingest dead cells and debris caused by tissue injury. Four types of white blood cells can act as phagocytes, namely neutrophils, monocytes, eosinophils and basophils. These white blood cells circulate in the bloodstream awaiting chemical signals of invasion and inflammation. Upon receiving these signals, the white blood cell phagocytes -- especially neutrophils and monocytes -- migrate to the site of infection. Neutrophils and monocytes are considered so-called professional phagocytes. Both arise from the same type of stem cell in the bone marrow. Monocytes normally represent roughly 1 to 10 percent of the circulating WBC population. Like neutrophils, these white blood cells can respond to a site of infection, activate and phagocytize invading bacteria. Monocytes also migrate into the body tissues, where they grow and transform into cells called macrophages. Macrophages remain in the tissues. They continue to function as phagocytes in the tissues, and interact with other types of immune cells to protect the body and regulate inflammatory responses. Along with neutrophils, eosinophils are included in the WBC group called the granulocytes. This categorization refers to the fact that these WBCs contain tiny granules that house special enzymes and other chemicals. However, the contents of the granules differs between eosinophils and neutrophils. Whereas neutrophils are professional phagocytes, eosinophils are less active in terms of their phagocytic function. They are also much less numerous than neutrophils, accounting for approximately 1 to 4 percent of the circulating WBCs. While eosinophils are not as effective at phagocytosis as neutrophils are, they have other immune system defense functions -- including participation in allergic responses and defending the body against parasites, such as intestinal worms. 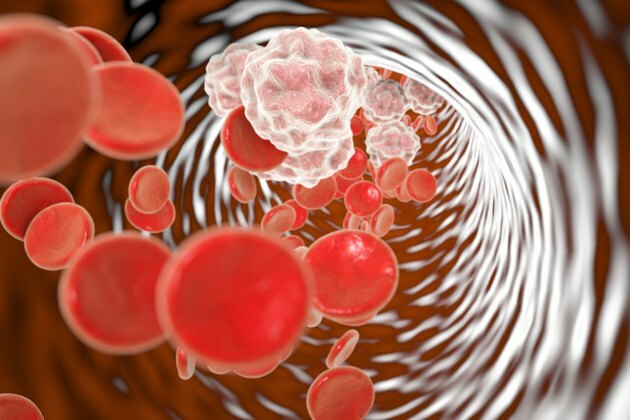 Basophils are the least abundant WBCs in the circulation, typically accounting for less than 1 percent to 2 percent of circulating WBCs. Like neutrophils and eosinophils, basophils fall into the granulocytic WBC category. Similar to eosinophils, basophils are capable of acting as phagocytes but this is not their primary function. The granules of basophils contain high concentrations of histamine, an important mediator of allergic reactions, and heparin, an anti-blood-clotting chemical. Basophil function is not as well understood as that of other WBCs, but researchers believe these cells may have a role in the ongoing inflammation seen in chronic allergy-related conditions, such as allergic asthma. How Does Insulin Signal a Cell to Take in Glucose from the Blood?